SFIA Helmets from Xenith proudly displayed at the association’s Headquarters. On a recent trip up to the Boston area, SFIA staff was able to visit several members, including equipment manufacturer Xenith. 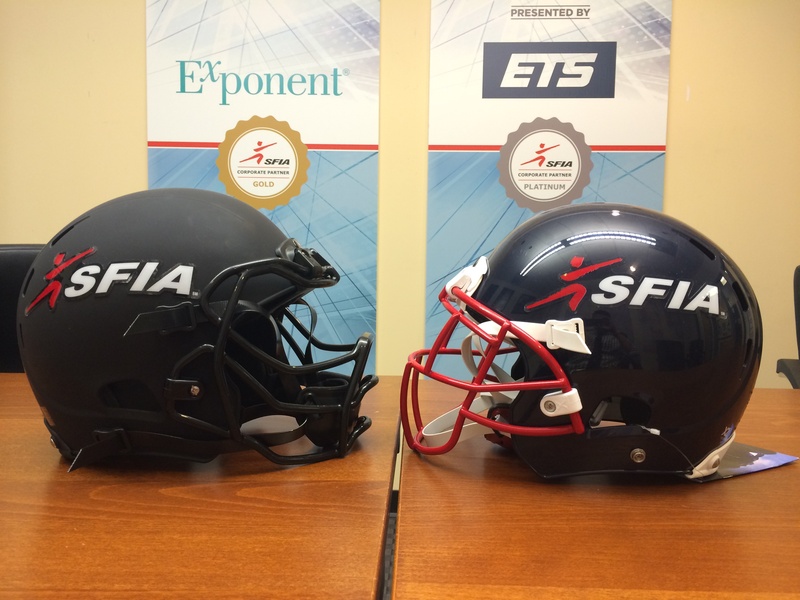 The team over at Xenith was kind enough to make an SFIA branded helmet that we could proudly display at our Headquarters. For this post, we wanted to highlight the process that goes into making a football helmet. Special thanks to Rich Burke, Dan Brown, and the rest of the team at Xenith for taking the time to make the limited edition helmets.